Detroit poet, activist and educator Gloria House has been named the 2019 Kresge Eminent Artist. The announcement came Thursday evening at the Masonic Temple’s Jack White Theater at the conclusion of a program honoring the first 10 Kresge Eminent Artists. A collaboration between the Foundation and Detroit Public Television, the “Kresge Honors” program will be broadcast on Feb. 15. House has published four poetry collections, Blood River (1983), Rainrituals (1989), Shrines (2003) and Medicine (2017) under her chosen African name, Aneb Kgositsile. House has also been an activist since the student and civil rights movement of the 1960s and a professor at Wayne State University and the University of Michigan-Dearborn. House is the 11th metro Detroit artist to receive the Kresge Eminent Artist award since 2008 in recognition of professional achievements in an art form, contributions to the cultural community and dedication to Detroit and its residents. Her predecessors as Kresge Eminent Artists have been visual artist Charles McGee, the late jazz musician Marcus Belgrave, playwright Bill Harris, poet-publisher Naomi Long Madgett, impresario David DiChiera, the late photographer Bill Rauhauser, textile artist Ruth Adler Schnee, photographer Leni Sinclair, harpist-educator Patrica Terry-Ross and jazz saxophonist Wendell Harrison. The Kresge Arts in Detroit office at the College for Creative Studies administers the Kresge Eminent Artist Award, Kresge Arts Fellowships and the Gilda Awards. The awards and the Kresge Arts in Detroit office are funded by The Kresge Foundation, a national private foundation based in metro Detroit, as part of its Detroit Program. Kresge’s Detroit Program collaborates with civic, nonprofit and business partners to promote and expand long-term, equitable opportunity in the foundation’s hometown. In the first 10 years, the Kresge Arts in Detroit initiative has provided over $5 million of direct, no-strings-attached support through more than 200 awards given to artists residing in Wayne, Oakland and Macomb counties. This includes support to the local film, music, visual, literary and performing arts communities, including $500,000 cumulatively to the first 10 selected Kresge Eminent Artists. The awards celebrate and invest in the creativity and accomplishments of Detroit artists, elevate the position and contributions of the creative sector, and strengthen Detroit's position as a major center for arts and culture nationally and internationally. "As a poet, activist and educator, Dr. House's multidimensional career exemplifies the talent, vision and influence that the Kresge Eminent Artist award exists to recognize," says College for Creative Studies President Richard L. Rogers. "CCS is honored to partner with The Kresge Foundation to celebrate Dr. House's lifelong commitment to creativity and the advancement of human rights." House was born in 1941 in Tampa, Florida, and lived extensively abroad with her mother and stepfather, who was a U.S. Air Force careerman. Her early international travels made her a keen observer of life around her. She began writing poetry as a child, inspired by Paul Laurence Dunbar and the powerful words of James Weldon Johnson’s “Lift Every Voice and Sing,” now widely known as the Black National Anthem. A student of French literature, by the time she was 18 she had received a diploma in French Studies from the Monterey Institute of Foreign Studies in California and looked forward to a career in international relations. In 1961, at age 20, she was awarded a bachelor’s degree from University of California, Berkeley in French with a minor in political science. The following year, she completed the Cours Pédagogique program at the Alliance Française in Paris, where she met African students who were engaged in political activities that energized and inspired her. While working on her graduate degree in comparative literature at Berkeley, she became involved in the Free Speech Movement, the first of the 1960s campus clashes to command national attention. The movement, which included a campus-wide boycott of classes, centered on student demands for the freedom to exercise political views and rights on campus. House left campus during the summer of 1965 to join the civil rights movement and teach in a Freedom School in Selma, Alabama, one of a number of such schools set up in by the Student Non-Violent Coordinating Committee (SNCC) to counter the inferior Jim Crow public schools of the South. While picketing, she was arrested in Lowndes County. A friend who had been arrested at the same time was murdered upon the group’s release, another was critically wounded. Gloria House canvassing in Lowndes County. “I went back to Berkeley, stayed a few days and realized I could not come back to university. Academic life paled in comparison to what I had just experienced. So I returned to the South, carrying my master’s thesis all over Lowndes County.” (House ended up completing her master’s in comparative literature from UC Berkeley in 1969). She spent a formative two years as a SNCC field secretary. House drafted SNCC’s 1966 statement against the Vietnam War, the first such statement from a major civil rights organization. “SNCC was such an incredible collection of human beings. I was in awe of my co-workers. They were so brilliant, disciplined and dedicated. I had never seen an organization of twenty-somethings running the show. There were no elders; we were, of course, in a precious relationship with local community elders, but SNCC was our organization. We were selecting field secretaries, figuring out budgets, managing a fleet of cars, operating a press, publishing a newsletter and booklets. I felt so exhilarated to be among them and to make these changes we believed in,” House says of her experiences with SNCC. House married and moved to Detroit in 1967, pregnant with her son, Uri Heru House. She gave birth shortly before the rebellion in July of that year. House taught French language and advanced composition at Cass Technical High School and served as copy editor of the editorial and op-ed pages at the Detroit Free Press before beginning a lifelong career as a university-level educator, receiving her Ph.D. in American culture/history at the University of Michigan, Ann Arbor. At Wayne State University, House was a professor of African American literature, American culture and research methods in the Interdisciplinary Studies Program, and was co-chair of the WSU Black Caucus. 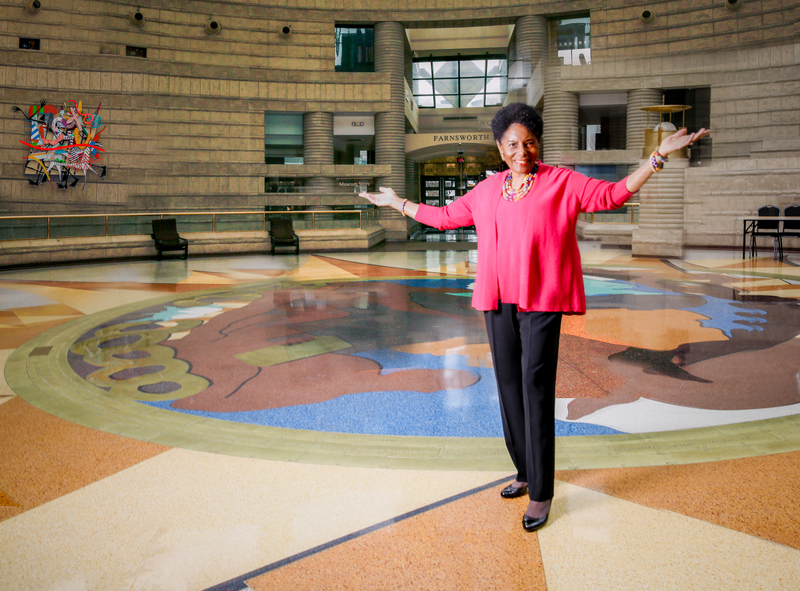 At the University of Michigan-Dearborn, she designed the major in African American and African Studies, served as the program director, and was appointed professor emerita upon her retirement in 2014. She was also visiting professor in the English Department at the University of Witwatersrand in South Africa from 1992 to 1995. House won the President’s Award for Excellence in Teaching at Wayne State University, where she was also named associate professor emerita in 1998. While teaching, she continued her engagement in political activism as cofounder of the Detroit Coalition Against Police Brutality in 1996, to make the case that police violence against African Americans had not abated over the 22 years since STRESS (Stop the Robberies Enjoy Safe Streets), the notorious police undercover decoy unit, had been disbanded. She also co-founded the Justice for Cuba Coalition, and helped to develop three African-centered schools in Detroit − Aisha/Dubois Academy, Nsoroma Public School Academy and Timbuktu Academy − among other activities. For her social justice work, House has received numerous honors, including the Lifetime Civil Rights Activist Award from the Michigan Coalition for Human Rights (2017), the Edward Said Scholar-Activist Award from the Michigan Peace Team (2012), and the Harriet Tubman Award of the National Organization of Women, Wayne County Chapter (2011). Teaching is a career that afforded her the opportunity to support students in discovering their abilities and interests as young leaders. Her skills and dedication to cultivating the careers of emerging writers is apparent in her outstanding commitment to Broadside Lotus Press. She notes she inherited her approach to mentoring from the late Dudley Randall, who founded Broadside Press in 1965. “I started working with Broadside in the mid ’70s. I was impressed with the Broadside poets I met, and with the repertory that Dudley had built. He accepted an array of styles, subjects, topics and put out books by emerging, unknown artists that sold in the thousands,” she says. House’s own conception of her lifelong career as an artist has evolved gradually over time.